This is a reminder for Treasury users that Holy Trinity closed the Time of Easter, and that today you make the transition to the Time of the Church–from days to calendar dates. 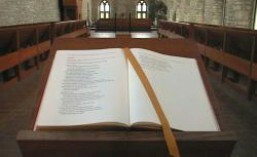 Easily done; you will have to move several pages forward–to May 31st–to find the correct day’s devotion. 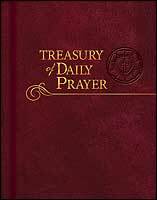 This entry was posted in Treasury of Daily Prayer and tagged Daily Lectionary, Skip, Spring, Time of the Church, Treasury of Daily Prayer. Bookmark the permalink.